You'll be £19.99 closer to your next £10.00 credit when you purchase The Canal Builders. What's this? Order within the next 5 hours, 1 minute to get your order processed the next working day! 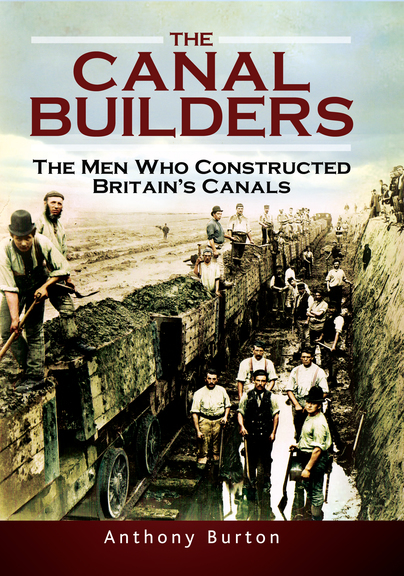 Canal Builders is a classic history book for anyone interested in the development of Britain's canal system. The book, which was first published in the 1970s, is now republished here in a new fifth edition. It takes the reader from the middle of the eighteenth century, to the start of the railway age in the early nineteenth century. Anthony Burton has revised and improved the original text, using new material that he has found in archives since it was first published, and has added many extra illustrations. This is the remarkable story of the many groups of people who were responsible for building Britain's canal system. There were industrialists such as Josiah Wedgwood, who promoted canals to help his own industry, and speculators, financed the projects in the hope of a good return. The work was planned by engineers, some of whom, such as James Brindley and Thomas Telford, have become famous, while others have remained virtually unknown but still did magnificent work. This is also the story of the great, anonymous army of men who actually did the work – the navvies. This was the first book ever to study the lives of these labourers in detail. Altogether it is an epic story of how the transport route that made the industrial revolution possible was built. This is not some dry history but is delightfully brought to life with extracts from an extensive range of contemporary letters and publications and a good selection of illustrations. ...Anthony Burton has an relaxed style and makes the story interesting without being simplistic or patronising. The reader is smoothly led through the intricacies of eighteenth century business and is well entertained on the way. If you want to know how the canals came to be built and who were the people who made them happen then this is the book to tell you. It has not been bettered since it first appeared in 1972 and it has been steadily improved until it reached this its fifth edition. Anthony Burton has been a professional writer and broadcaster for over forty years, during which time he has largely concentrated on the history of industry and transport. His books include The Canal Builders, recently reprinted in its fifth edition, and The Railway Builders. He has written a biography of the great steam pioneer Richard Trevithick and is currently writing the story of railway engineer Joseph Locke. He has worked as writer and presenter on a number of TV programmes for all main channels, including documentaries on the National Railway Museum, the Great Western Railway, the locomotive trials at Rainhill and the Great Dorset Steam Fair.